LTG Robert VanAntwerp was appointed chief of infrastructure and executive development for the Flippen Group in July 2011. In addition to executive development and leadership keynotes, he works with other organizations to develop teams and acquire resources to improve infrastructure. VanAntwerp retired from the army after 39 years of service and a final assignment as chief of engineers and commanding general of the US Army Corps of Engineers. He oversaw a $40 billion program, including most of the nation’s civil infrastructure and military construction on over 150 United States Army and Air Force installations. He was responsible for over 37,000 employees who provided engineering, project management, construction, and operation and maintenance support in nearly 100 countries around the world. VanAntwerp is a graduate of the United States Military Academy at West Point and holds an M.B.A. from Long Island University and an M.S. in mechanical engineering from the University of Michigan. He is a registered professional engineer. 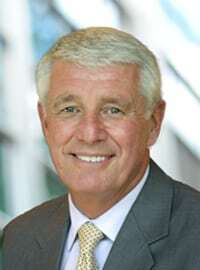 VanAntwerp is Chairman of the Board of Eagle Creek Renewable Energy and on the Board of Directors of the Flippen Group, USAA, and a number of other organizations. He and his wife, Paula, have five children and twelve grandchildren. They reside in North Carolina. Retired 3-star general in the United States Army. Former Chief of Engineers and Commanding General of the U.S Army Corps of Engineers (USACE). Led 37,000 employees serving the nation’s infrastructure. Oversaw a $40 billion program. Graduate of the United States Military Academy at West Point. MS in Mechanical Engineering from the University of Michigan. "A 'GET TO' attitude inspires. Your attitude determines your behavior which determines your influence which determines outcomes!"